The FT4100 is designed to sense dust emissions passing through a filter in a dust collector or bag house. This very sensitive device allows the user to continuously monitor the level of emission and record the data. 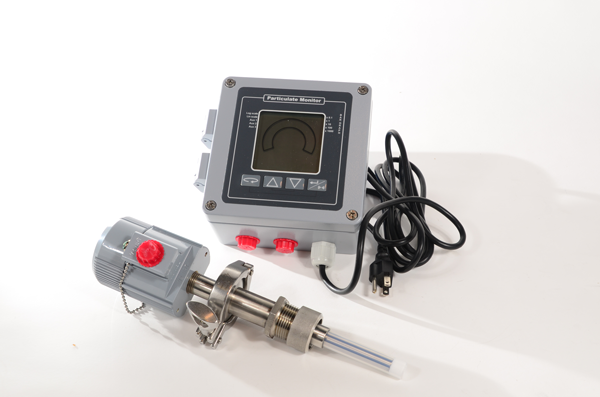 For applications that have electrically conductive dusts, condensate or moisture which would cause a build-up on the sensing probe, we offer a system with a coated probe that will be unaffected by such conditions; please specify option "PP" when ordering for this option. 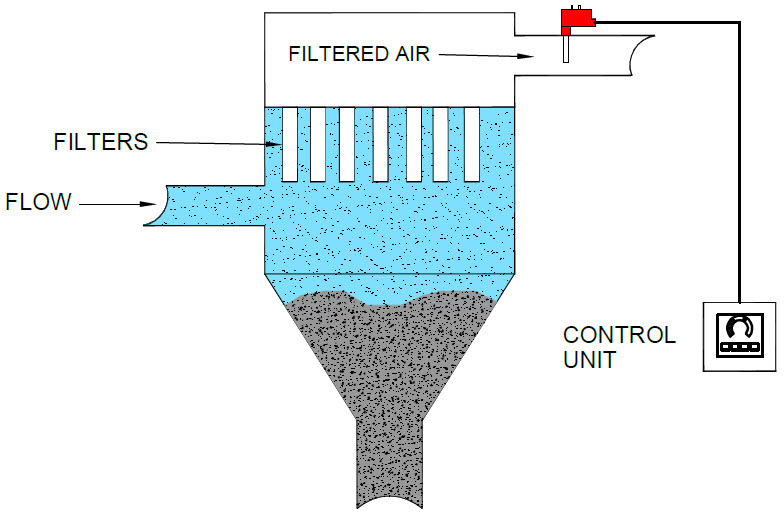 Dust emissions occur at two different times and at two different levels in a dust collector. The first is the baseline emission level, which is the normal leakage whenever the collector is in operation. Typically a higher emission level occurs when the filters are being pulsed or cleaned by reverse air. The FT4100 allows the operator to precisely set the alarm set point when the baseline leakage increases, when the peak levels during cleaning increase or both! A time delay (0-60 seconds) is user programmable via the keypad to filter out nuisance alarms for both set points. Each alarm has a relay output as well as the visual alarm on the display. A 4-20mA signal proportional to the dust leakage is provided for recording or remote monitoring of the dust filters condition.